Those who are interested in learning the language, and making their own traditional tea, learning the practice first-hand. Choose Japanese classes between the Conversation Course or General Intensive Course. Receive a tea ceremony set so you can make tea at home. The school has a tea ceremony room in their school building. Medium; learn efficiently while enjoying the culture. Choose classes between conversational Japanese or academic Japaense. Learn to make your own tea. Learn about the traditional tea ceremony culture. 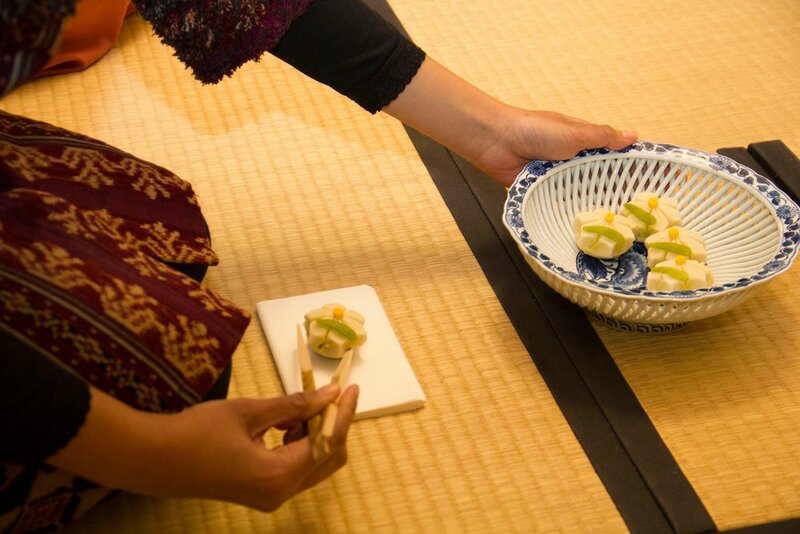 Learn to serve tea properly & eat Japanese sweets. Perform the full practice in front of the teacher and she will give you feedback. Mondays and Thursdays. Twice a week; 8 lessons/month. Can choose to do only the tea ceremony course and no Japanese lessons. 1 month = 45,000 yen. 1 month (4 weeks) = 139,000 yen. Fee includes registration, materials, tea ceremony set, tuition. See the Traditional Culture Course for a similar course, available all year round. Am I still eligible for the course without understanding Japanese at all? If you just take the Tea Ceremony Course, it is fine to know no Japanese. If you start the Japanese lessons from May 7th, you should know a basic level of Japanese. If you can start the Japanese lesson from April 2, it is no problem to know zero Japanese. 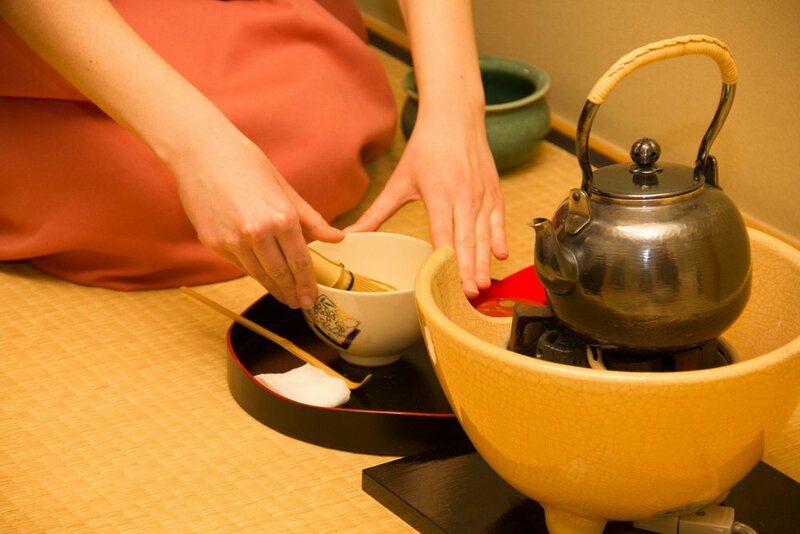 The tea Ceremony course is taught in Japanese, but help in English is provided. Not having experienced Tea Ceremony at all in my life, am I still eligible to join the course? Yes, you will have no problem at all. You can learn about Tea Ceremony from the basics. Can I participate in the course from the middle of the program? No, you cannot. The program is designed to progress gradually, so no participation is allowed midway through the program. Choose course -> Apply Now -> Choose accommodation -> Receive confirmation and pay school -> Prepare for Japan! Don't wait; limited spaces are available.